We have broken the restored site down into general habitat components which you can sponsor to reach our next fundraising target of $100,000. Hover over the flashing dots on the map with your mouse to make your donation and learn more about each sponsorship level. You can also make a donation of any amount or set up monthly donations by clicking the donate button. The low marsh is located along the river edge of the salt marsh. It is usually flooded at every tide and exposed during low tide. The lowest section of the Kus-kus-sum marsh will be wet at all tides. Plants in this area will include sea milkwort (Lysimachia maritima), and sliverweed (Potentilla anserina). Once we receive your contribution you will be emailed a choice of an Ian Fry painting or a selection of one of our Keeping It Living Artworks in thanks. Click on the flashing dot to sponsor “Low Salt Marsh” for $100. Channels and ponds weave their way through the salt marsh area. 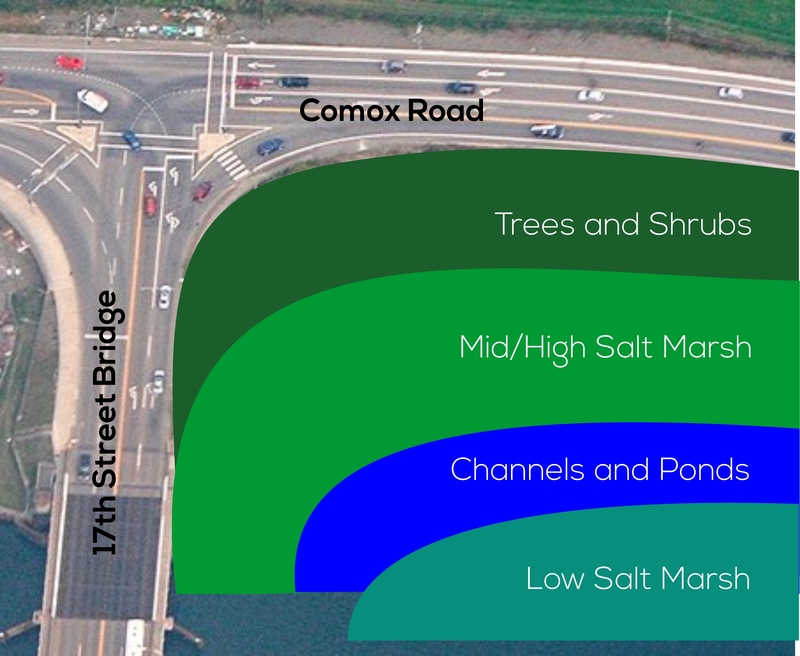 They will connect Kus-kus-sum to Hollyhock Flats (south) and provide passage, escape and refuge for fish and other aquatic species. Once we receive your contribution you will be emailed a choice of an Ian Fry painting or a selection of one of our Keeping It Living Artworks in thanks. Click on the flashing dot to sponsor “Channels and Ponds” for $500. The mid to high marsh lies between the low marsh and the marsh’s upland border. Soils in the high marsh are mostly saturated, and the high marsh is generally flooded only during higher than average high tides. Plants in this area will include Lyngby’s sedge (Carex lyngbyi) and Bullrush (Luzula parviflora). Once we receive your contribution you will be emailed a choice of an Ian Fry painting or a selection of one of our Keeping It Living Artworks in thanks. Click on the flashing dot to sponsor “Mid to High Salt Marsh” for $250. Trees and shrubs will be located on the salt marsh’s upland edge and other areas on the marsh where elevations are slightly above the high marsh. This area is usually only flooded at extreme tides and under irregular conditions such as storm surges or wind-driven tidal inundations, and does not experience waterlogged conditions or severe salt stress. Once we receive your contribution you will be emailed a choice of an Ian Fry painting or a selection of one of our Keeping It Living Artworks in thanks. Click on the flashing dot to sponsor “Trees and Shrubs” for $1000. As everything from microbes to megafauna is important to the healthy functioning of an ecosystem, all donations big and small are needed for acquiring and restoring Kus-kus-sum. You can use our general donation button to make a contribution of any size and to make monthly donations over a set amount of months. For large donations or donations that are not cash please call 250-703-2871 or email info@projectwatershed.ca. It will cost approximately $6.5M to purchase and restore the site to a natural state. Of this we need to raise $500,000 from the Comox Valley community. We will be writing grants to all levels of governments, as well as local, national and international organizations to raise the balance of the funds. Of the $500,000 from the community $100,000 has to be raised by December 20th. To reach this first target we sectioned off 1/5th of the site, as seen in the Site Diagram. We will fill up this section with the associated habitat components as they are sponsored. You can sponsor a habitat component individually or join with your neighbours, co-workers, church or sports team to sponsor one as a group. If you or your group wish to be recognized for your support please let us know – your name/affiliation will be listed on our website, our Facebook page and at some point on the restored site itself. For donations over $25 you will receive a tax receipt and for donations over $100 you may also choose an art piece or Kus-kus-sum keepsake (please note that approx 15% is taken off your tax receipt if you do choose an art work). For more information on the site and our restoration plans visit our Kus-kus-sum page. To recognize and thank donors to Kus-kus-sum and Project Watershed we have set up a page called Friends of Kus-kus-sum. Take a look! K’ómoks First Nation is partnering with Project Watershed on this groundbreaking initiative. 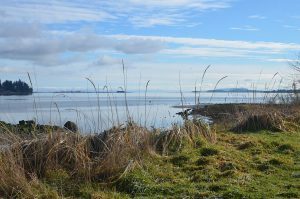 In principle, they and the City of Courtenay will be the landowners once the property has been purchased and restored. For more information about the Nation and it’s involvement visit their website at www.komoks.ca, call (250) 339-4545 or email info@komoks.ca. We need help spreading the word, collecting sponsorships, running events etc. Come join our team! We will give your group a private talk about Kus-kus-sum – its history and plans for its future. Check out Kus-kus-sum history, photos, latest news and restoration morphing video. Project Watershed’s art awareness & fundraising campaign to give everyone the opportunity to contribute to the preservation and restoration of the K’ómoks Estuary. Our 2018 campaign celebrates collaboration; a purposeful relationship in which all parties strategically choose to cooperate in order to achieve shared goals. It takes collaboration to breach lagoons, install culverts and tear down walls. 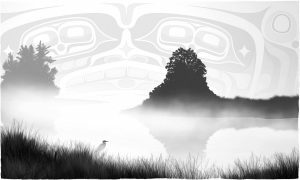 Martha Jablonski-Jones has provided us with an image of the next wall we aim to tear down in her artwork “Long Road to Comox”, we can only do this with your support. As part of our Keeping It Living Campaign, Project Watershed has acquired a variety of locally created art called “The Keeping It Living Collection”. When you make a financial contribution to Project Watershed of $25 or more you get to choose an art poster. 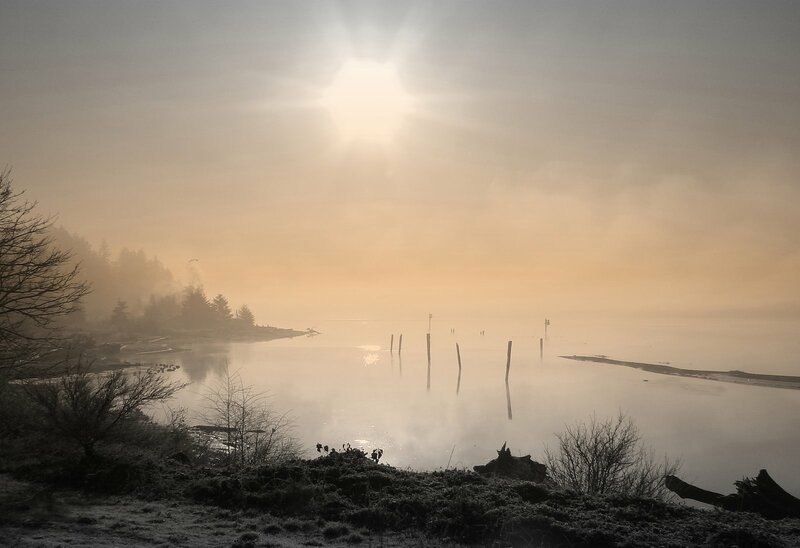 When you make a contribution of $100* or more – a limited edition print on archival paper (prints vary in size) (*to get a print of Stillness requires a minimum contribution of $150). Major contributions of $1000 or more enable you to choose a limited edition print on canvas. For contributions over $25 Project Watershed will issue a charitable tax receipt, if a print is chosen the cost will be deducted from the tax receipt $15 for paper prints and $150 for canvas prints (unless the costs come to less than 10% of the donation in which case nothing will be deducted). These are stipulation from the Canadian Revenue Agency. A business who sponsors our work for $150 or more will also receive public recognition via a press release, placement of logo and link on our website and mention at appropriate events. To make a contribution press the large green DONATE button below the artwork. Type in the name of the artwork that you would like to receive and whether you would like a poster, paper print or canvas print. Example: Estuary Greens Paper Print. Martha studied Fine Arts at the University of Alberta in the late 60’s. Her main focus in art has been physical place and how we dwell in it. This interest led her from Alberta to Vancouver, where she spent time painting the urban scene: alleys, run-down buildings, massive hydro structures. I loved the character, texture, and emotional feel of old places, imprinted by human occupation. Brian retired from the University of Guelph (veterinary medicine and agriculture) in 2001 and relocated from Ontario, with his wife Cathy, to Comox B.C., on Vancouver Island. He began painting seriously in 2004 studying with acclaimed artists in Canada and the US. In 2007, he invested in full time study at the Jeffrey Watts Atelier in Encinitas California, drawing and painting from life. He continues to study with exceptional artists today. Brian paints full time – in acrylic and oil. Brian’s paintings are reflective of his love of the outdoors, travel, agriculture and rural communities. The more he paints the more his work moves towards abstracted impressions of his subjects. The print is of the estuary looking from the Rotary stand towards where the LaFarge tower use to be. At the top there is a First Nations representation of the Orion star constellation (according to legend the dipper cup contains fog which is emptied on a foggy day into the estuary). 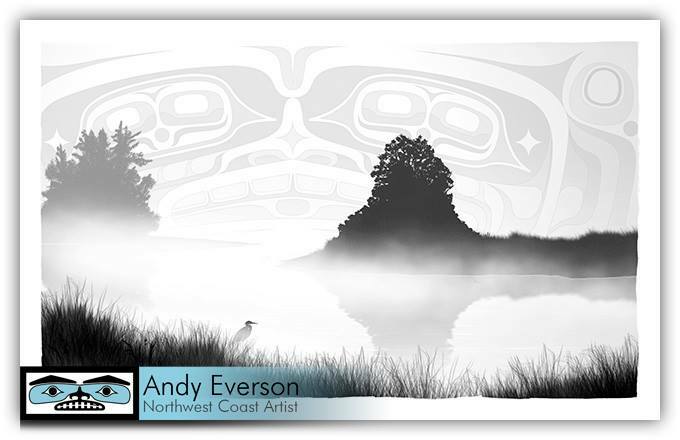 Andy Everson is a Northwest Coast Artist born in the Comox Valleyin 1972. He was named Na̱gedzi after his grandfather, the late Chief Andy Frank of the K’ómoks First Nation. He has a Master’s degree in anthropology and started seriously creating art in 1990 when he started designing and painting chilkat-style blankets for use in potlatch dancing. Andy explores and expresses his ancestral artwork in a number of contemporary ways and has created many iconic symbols for the Valley and beyond. Martha came to art later in life and is passionate about painting. Largely self-taught, she is an eager learner and experimenter. 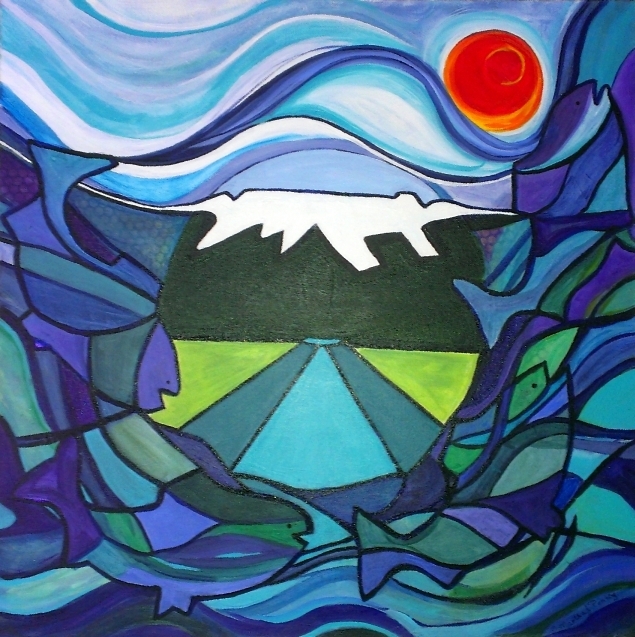 Her eclectic work is inspired by Emily Carr and others. Her medium of choice is acrylic on canvas. Martha has settled in a new studio in a garden setting with abundant natural light. There she paints with exuberance and delights in welcoming visitors. 11″x17″ Poster ~ for a donation of $25 or more. Shirley is a self-taught artist who has been art-making since grade school. 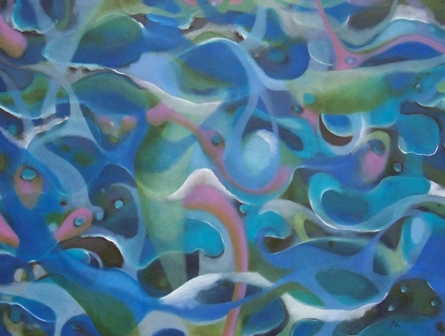 She has been an artist for the past 40 years; practicing as a professional artist since 1996. She has received numerous awards and participated in a large amount of art exhibitions both locally and internationally. Composition, colour and form come naturally to Shirley. She paints intuitively often creating work as she goes along. The composition and colour are decided during the painting process itself. Rena Rogers is a fine arts photographer who has been published in national and international magazines and has exhibited work in New York. She grew up in Vancouver and has lived in the Comox Valley since 1994. Born and raised in Ontario, Jennifer’s first art instruction began as a teenager when she joined her mother for evening oil painting classes. This experience taught her the foundations of constructing a scene and building up the layers. She didn’t pursue the arts in her formal education but ventured to the skies and was rewarded with her pilot’s license. Her working career ended in the mid 90’s with the start of a family. 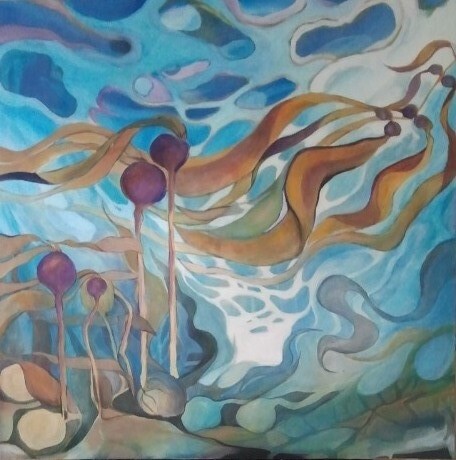 A chance meeting with an artist in 2003 in her new town of Courtenay on Vancouver Island initiated a change and a future within the arts community. 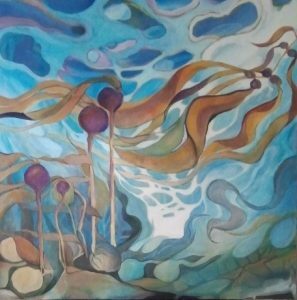 For three years, Jennifer actualized her dream of having commercial space for creating and showcasing her work by collaborating with 4 other professional artists to establish Art Alchemy, a studio/gallery in Courtenay, BC which still operates without her involvement. 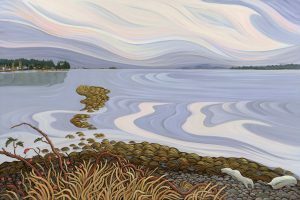 Born in Gimli, Manitoba, painter, printmaker Bev Byerley became a resident of the Comox Valley when her father was transferred to C.F.B. Comox in 1965. Bev’s parents recognized her artistic talent at a very early age and at 8 years old they enrolled her in an adult painting class. After graduating from high school in 1977, Bev furthered her studies in an oil painting course at the Banff School of Fine Arts in Alberta. Bev is perhaps best known in the Comox Valley for her acrylic landscapes of the west coast and of Newfoundland. Her commitment to her individuality through the years has resulted in Bev developing a style uniquely her own. Her love of the land is evident through the images she projects onto paper and speak of a knowledge of her subjects at a grass roots level. In her application of the paint, images and colours are shaped with an impressionistic influence capturing the essence of the subject in flowing line and colour while also displaying a strong sense of design and balance. Once you have input your donation please type in the name of the artwork you would like to receive and whether it is a poster, paper print or canvas print. If you do not wish to have any art just type “No art”. Art Cards of each print are available online, at the office and at our events! Choose the art card you like in the drop down menu and purchase using the BUY NOW button. Once you get to the purchase page you can enter the number of cards or sets you wish to receive. Protecting the estuary not only makes sense environmentally but also economically. Bev Byerley’s painting speaks to the quality of life we enjoy in the Comox Valley. Economists use property values among others to capture this value financially. The Estuary Working Group has produced a vision document and is working on a K’omoks Estuary Management Plan (KEMP) under the lead of the the Regional District and K’omoks First Nation to help sustain that quality of life and uphold those economic values. We hope to have this plan adopted by all federal, provincial and municipal governments. The K’omoks Estuary has been providing the Comox Valley with economic prosperity for thousands of years. Jennifer Weber’s painting speaks to the mingling fresh and salt waters of the estuary as well the diverse range of habitats necessary to support the abundance of fish and shellfish that provide food, livelihood, and sport fishing to region. In BC seafood commodities bring in over $1.4 billion and sport fishing generates over $288 million. Tyee salmon, once abundant here, are now seldom found in the area as habitat has been lost or damaged. Restoration projects aim to reverse this trend of habitat loss thus increasing the productivity and economic prosperity of our region. More valuing our oceans facts and figures below! The following are facts from reports done for the Province of BC on the contribution our ocean makes to our economy. There are arranged by year and include links to the full reports on the Province of BC website. British Columbia offered 476 distinct fish and seafood commodities with a combined wholesale value of $1.4 billion. Salmon products generated 53% of the total wholesale value of all B.C. seafood. Sport Fishing – A major tourist attraction for both domestic and foreign tourism markets – the sector supports about 7,700 jobs. Sport fishing generates $288 million a year in GDP. Capture fishing – The landed value from all species was 330 million. They constitute the fourth largest primary industry in British Columbia after forestry, mining and agriculture. Seafood – Products were exported to more than 74 countries and generated a total export value of $957 million. Aquaculture – produced 90,600 tonnes of fish and shellfish and generated $533.8 million in farmgate value. From the analysis, it appears that the ocean economy is much larger than previously thought – with total output almost double an earlier estimate. As well, the ocean sector is broader and more diversified than indicated by previous findings. We also know little of the non-market values of our ocean – for example, cultural and spiritual benefits and the ocean’s value as a carbon sink. 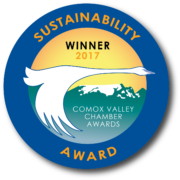 From the past and into the future the K’ómoks Estuary supports the economy of the Comox Valley. Rena Roger’s photograph captures a moment for us to reflect on this. 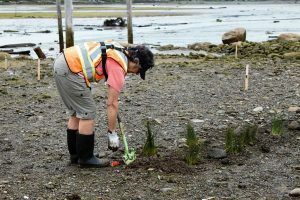 Archeological work suggests a substantial First Nation community existed on the shores of the Estuary for over 1400 years. This community relied on the productivity from the land around the Estuary as well as the water as natural estuarine dynamics creates rich farmland. This farmland is still used today and remnant First Nation stakes bespeckle the mudflats supporting agriculture, agri-tourism and potentially archaeo-tourism. Project Watershed is committed to develop a bid for National Historic Status and the protection, education and tourism that could accompany this. The K’ómoks Estuary offers economic possibilities that are just being discovered. In this respect Shirley Dickie’s painting is not only captivating but timely. Marine plants sequester carbon at rates higher than forests. In our Estuary these plants are eelgrass and those associated with salt marshes. Project Watershed is working with local, national and international groups to re-establish these plants and to capitalize on their carbon sequestration. This is a triple win as it increases habitat, provides shoreline resilience and removes CO2 from the atmosphere. Locally our governments spend thousands on carbon taxes; carbon credits in contrast would be an income source. The World Bank estimated the size of the global carbon credit market to be 64 billion in 2007. The K’ómoks Estuary provides food and space for large populations of resident and migratory waterfowl and waterbirds. The Comox Valley has been known to attract exotic birds like the Citrine Wagtail and Red-flanked Bluetail drawing birders from far and wide to visit the region. Birders also flock to this area to glimpse rare birds like Peregrine Falcons, or to marvel at the large population of Trumpeter Swans which overwinter in the Comox Valley. The waters of the K’ómoks Estuary also provide a playground for tourists and residents. A variety of recreational activities such as kayaking, canoeing, boating, stand up paddle boarding, kite boarding, swimming, and scuba diving are enjoyed in the estuary. The K’ómoks Estuary provides our community with a resource of educational materials and trips so that students from Kindergarden to Post Secondary can gain first hand experience exploring ecology, history, geology, geography etc.. 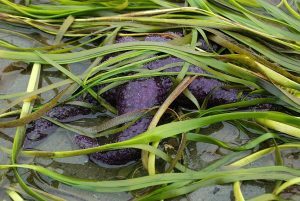 Ongoing – Project Watershed is doing blue carbon work planting eelgrass and salt marsh to increase habitat, provide shoreline protection and remove carbon dioxide from the atmosphere. We are also carrying out work with international funders and partners to investigate how blue carbon works. Click here for more information. With help from our funders and partners we have breached the upper area of the Courtenay Airpark Lagoon to provide fresh water flow and improve the habitat within the lagoon. We have created an online interactive map housing ecological, historical and recreational information for residents, tourists, environmentalists, recreationalists, real estate agents, students and more. Check it out! 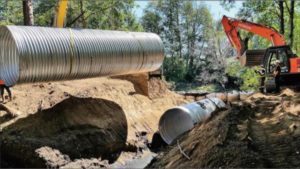 Installation of the second culvert connecting the channel to the Courtenay Slough. Phase 1 completed. 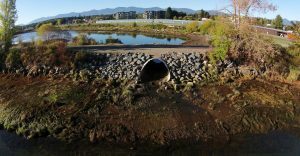 The old culvert was removed and replaced with a larger, more “fish friendly” one installed at a lower elevation. The inner pond was re-contoured and deepened in a couple of areas. Another culvert was installed on the opposite side of the pond to connect the pond to the Courtenay Slough, which connects back to the Courtenay River. More work is to be done replanting the area over the coming year. Project Watershedand the K’ómoks First Nation have reached an agreement with Interfor to purchase and restore the former Field sawmill site on the Courtenay River near the 17th street bridge. We are now aiming to raise $100,000 for the community by December 20th, 2017. Project Watershed has been conducting the Keeping It Living Campaign to raise awareness and funds for the protection and restoration of the K’omoks Estuary since 2009.